One of my favorite sites for free stock images is Unsplash.com. 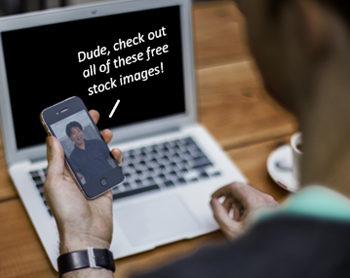 They provide hundreds of free stock images with a Creative Commons Zero license. That means you can do anything with the images, whether free or commercial. And that’s a good deal for those of us who are on a tight budget. 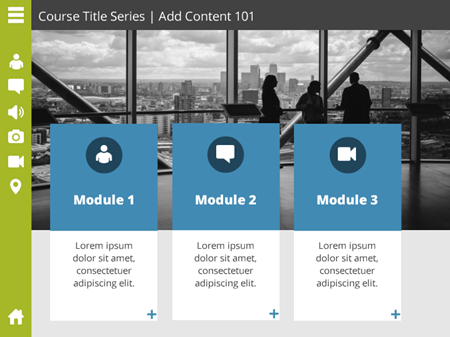 As you can see above, I used one of the city images provided by Philipp Henzler for the Storyline 2 tutorials. It works well in an elearning context. I also used one of the free images for this free template that I shared a while back. You can download the free template it here. Click to view the free template in action. Unfortunately, while it’s great to get a boatload of free stock images, many of them are mostly decorative and hard to use for elearning courses. And it does take some time to go through the whole kit and caboodle to find just the right images. If you’re not inclined to use the free images, you can always find inexpensive stock photo subscriptions. In fact Graphic Stock (which has a good selection) regularly runs a $99/year subscription with unlimited downloads. They also have a video and audio service that is reasonably priced. To save you time, I sorted through the images currently available and looked for the ones that had desks, tables, computers, and other generic elements that could work for e-learning courses. You can see a sampling below and download the curated free stock images here. Content holders: use the computer screens as a place to put your content. Zoom and crop: you don’t need to use the image as is. Feel free to crop or zoom to the parts that work. Apply filters like blur, black and white, or recolor to get the effect you want. In the image below, I added a blur and character. While I did curate the images to help save time, they did come from Unsplash. Be sure to give them some props. Thank you, Unsplash! PS While you’re download those free stock images, grab these 54 free medical images, too. Thanks for taking the time to sort them. I can use some of the images. Thanks, Tom; this has been the most useful post in a long time – the blog’s always helpful and of interest, but today’s fits exactly what I’ve been needing for my current project. Really appreciate all the effort you put in. In case anyone hasn’t already seen it, freeimages.com (formerly sxc.hu) often have useful free images. Some ask for attribution and some for author notification. It’s far from exhaustive, but may well have what you need, especially for more generic images. With limited to no budget for creating/gaining content, free items like this are so helpful for my department. Thank you. Thanks for the helpful info (as usual) Tom! thanks for the value-add on this post! not just a link. Effort appreciated. Thanks Tom, Images and sound are always the hardest part… I use freedigitalphotos which are free if you acknowledge the source. 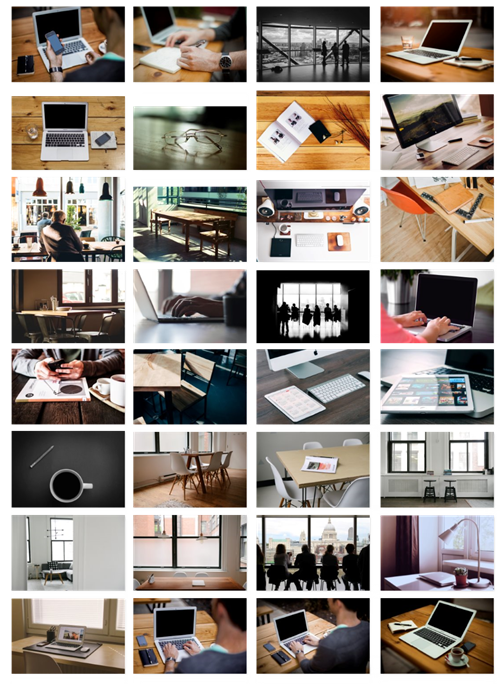 Thanks for sharing the resource to get free images. I hope most of us use Google to search images like me 😉 and Thanks again for sorting some images out for us. Like this, it will save lots of our time to use one of them instead of searching.